• Nearly 60,000 kids under the age of five accidentally swallow prescription drugs and end up in ERs every year. 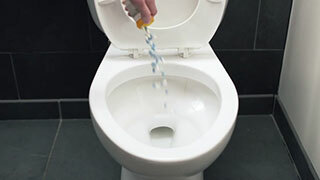 • Pharmaceutical drugs contaminate the water supply for more than 40 million Americans. • Almost half of teens who abuse drugs get them from a family member . . . without their knowledge. Setting out to make communities safer from this scourge, Hartford HealthCare recently tapped Adams & Knight, a digital marketing agency, to help them raise awareness of the dangers associated with not disposing prescription drugs . . . responsibly. And this is the inspiration the agency used to develop the theme behind a new campaign: Be Rxesponsible. Not only does it urge people to keep drugs out of the wrong hands, but it also informs people how get rid of them safely. • BeRxesponsible.org, a new website that was promoted across social media where people can learn the facts about prescription medication dangers and also sign up to receive a drug deactivation kit. • Live events, particularly kicking off the campaign in partnership with NBC Connecticut at Westfarms Mall with give-away drug deactivation kits.